A well-known female chess-player has issued a challenge to the worldwide Twitterati. It takes place tomorrow and anyone who has a Twitter account can participate. 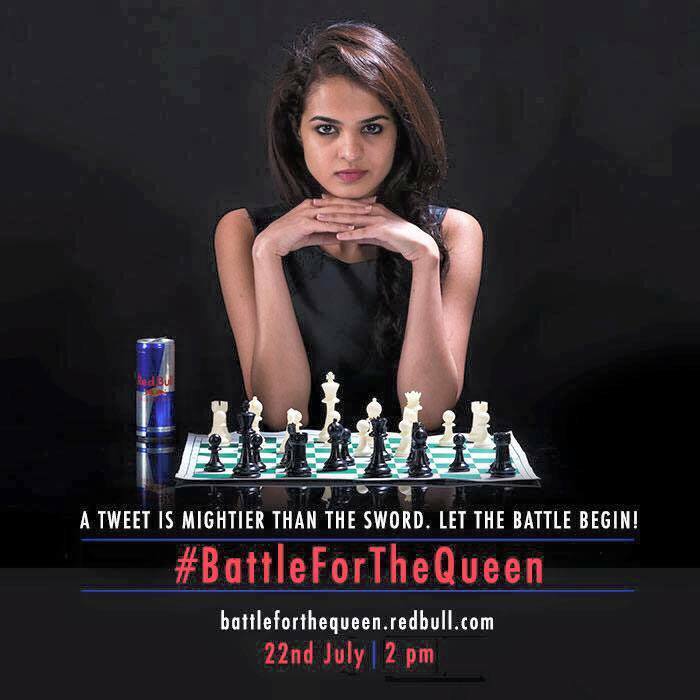 Can you defeat Tania Sachdev? Samson lived to regret the intellectual challenge he issued. Judges 14:12-14 And Samson said unto them, I will now put forth a riddle unto you: if ye can certainly declare it me within the seven days of the feast, and find it out, then I will give you thirty sheets and thirty change of garments: 13 But if ye cannot declare it me, then shall ye give me thirty sheets and thirty change of garments. And they said unto him, Put forth thy riddle, that we may hear it.